From the author of the Mongo Mysteries: The suspicious death of a friend leads the world’s most wanted criminal down a dark and dangerous path. There are very few people international assassin John “Chant” Sinclair trusts, and even fewer who know his secrets. When his friend, Roman magistrate Vito Biaggi, is violently killed, Chant knows that what Italian authorities are calling a random assault is anything but. With Chant’s help, Biaggi had been investigating an international cabal of businessmen who were funding terrorists. Only three weeks prior, he’d revealed the conspiracy’s existence and was on the brink of exposing its powerful players. But now Biaggi is dead, and Chant is determined to hunt down the ones responsible. 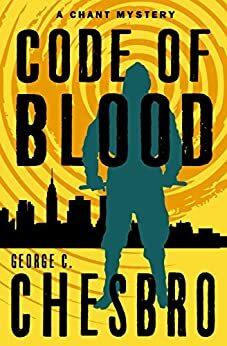 His search exposes a shocking trail of corruption and death, ultimately leading Chant into a secretive world ruled by a madman, where he must face the only adversary he’s ever failed to defeat. 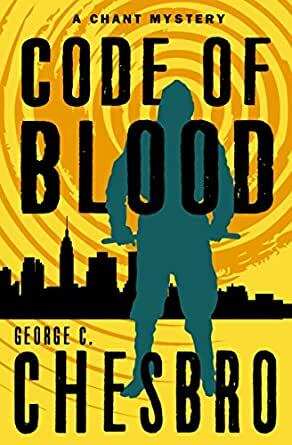 Code of Blood is the 3rd book in the Chant Mysteries, but you may enjoy reading the series in any order.